Home / "Biibi Ba" / Amerado / news / Sarkodie's / Strongman / Strongman Recommends Amerado For Sarkodie's "Biibi Ba" Give Away Song. 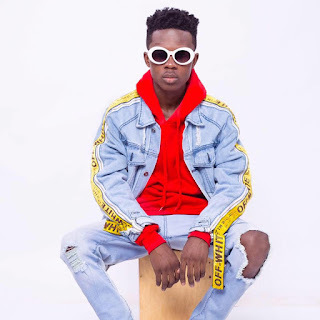 Strongman Recommends Amerado For Sarkodie's "Biibi Ba" Give Away Song. The CEO of Sarkcess Music, Micheal Owusu Addo known professionally as Sarkodie, earlier today has taken to his 1.8 million followers on micro blogging site twitter; to ask whom he should dash his yet to be released song "Biibi Ba"song produced by in-house engineer Fortune Dane. Few minutes after the post, Sarkcess Music signee and label mate, Strongman replied to the tweet recommending fast growing rapper and Music Awards South Africa nominee Amerado. Let's keep all fingers cross and hope for the outcome of this give away song.